Its a rare sight when we see brothers lifting football Championships together. 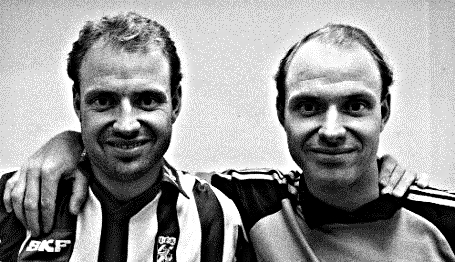 It becomes more unique and extraordinary if they are twins.We look at some of the famous twins, who played and won football tournaments together. 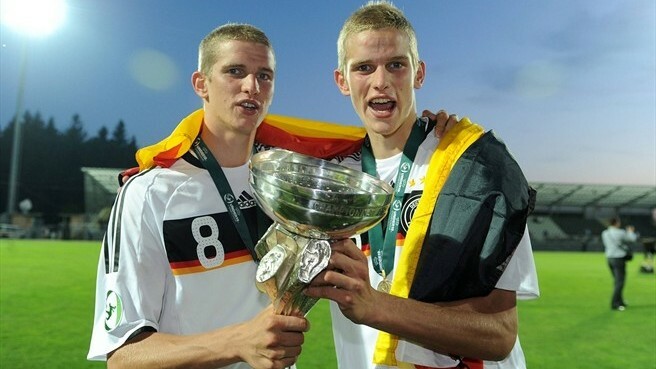 Lars Bender and Sven Bender are identical twins who played together for TSV 1860 Munchen until 2009. After the commencement of 2008-09 season, the brothers decided to move to bigger clubs in order to play in the German top flight Bundesliga. Sven joined Borussia Dortmund as a defensive midfielder while Lars caught the eye of Bayer Leverkusen for his attacking midfield prowess. Ever since, both have become integral part of their respective teams. Their valuable contributions helped Germany lift the UEFA U-19 Championship in 2008 and the same tournament saw both siblings winning the golden ball together. 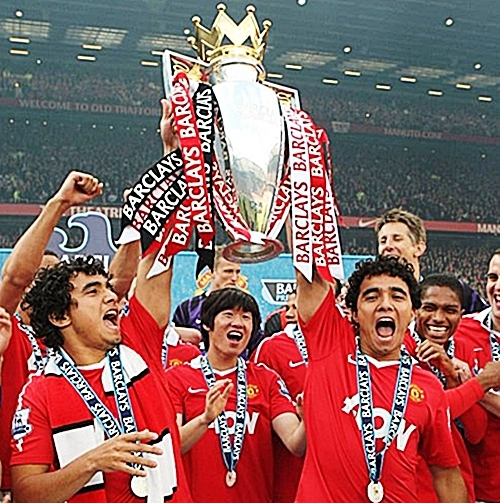 Rafael was suspended for an important Manchester United fixture. Sir Alex Ferguson joked "I might play Rafa and they wouldn't know -- I could do that quite easily! So it's not really a suspension at all". Such is the similarity between the da Silva brothers. Not just that they look similar but their style, game play and temper are carbon copies of each other. Although they share 3 Premier League trophies, Fabio has got only one medal to show as he failed to feature in the required number of games. The duo has also lifted the South American Under-17 Football Championship together. In 2013, Fabio left for Cardiff City seeking more first team opportunities. The separation between the twins was a painful sight for every Manchester United supporter, and of course, for the brothers. The Ravelli brothers are former Swedish footballers who started out playing football together in Östers youth squad. In 1977, Andreas represented Östers playing as a central defender and a year later his twin brother joined the club’s senior team as a goal keeper. They played together for about a decade during which they won three Swedish League titles. Thomas then moved to IFK Göteborg where he won six more Swedish league titles while his brother stayed with Östers for some years. Both siblings went on to represent their national team, but not to the same extent though. While Thomas represented the Blue-Yellows in 143 games and is still the second most capped player for Sweden, Andreas went simply unnoticed. Over the years, Ajax football club has been known for producing some of the finest talents of noteworthy mention like Johan Cruyff and Dennis Bergkamp. Maintaining that legacy are the De Boer twins who have ‘’been there together, done that together’’. Ronald and Frank started playing as Centre Forward and Left-Back, then later shifted to right midfield and central defence respectively. They have played for club and country and performed at the highest caliber. 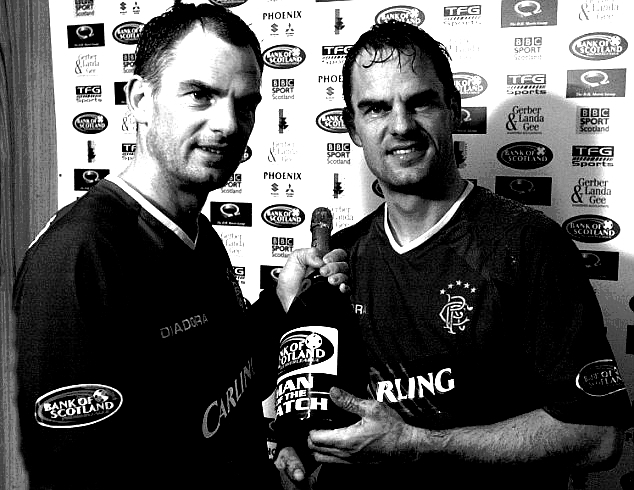 The De Boer twins played a good part of their footballing career together, including their times at Ajax, Barcelona, Rangers, Al Rayyan SC, Al-Shamal SC and the Netherlands National Team and among their many collective achievements are 5 Eredivisie, 1 La Liga, 1 UEFA Super Cup and 1 Intercontinental Cup. But their greatest triumph till date was winning the 1995 UEFA Champions League with Ajax making it their magnum opus. Even after retiring from playing football, they have been inseparable. Frank is currently the manager of boyhood club Ajax, while Ronald is Ajax A1's assistant manager. From the moment they were born, on 10th August 1966, their life has been the exact same in some tangled act of fate. Apart from the obvious fact that they are twins, their lifespan of work and football biography is, more or less, identical. The only real contrast being that Hossam was a striker, while Ibrahim was a right-back. Hassan twins started playing youth football in Al Ahly Sports Club, and then went on to represent the senior team in a few years’ time. They played well over twenty years of professional football each, for the same club and country. They have represented Al-Ahly (twice), PAOK FC, Neuchâtel Xamax, Al Ain SCC, Zamalek SC and Al-Masry together and played in more than 100 games for the Egypt national team - in the process making them the first Africans to be included in FIFA Century Club. Their honours include more than a dozen Egyptian Premier League trophies. After retiring from playing football, they turned to coaching and their managerial profile is, unsurprisingly, identical. 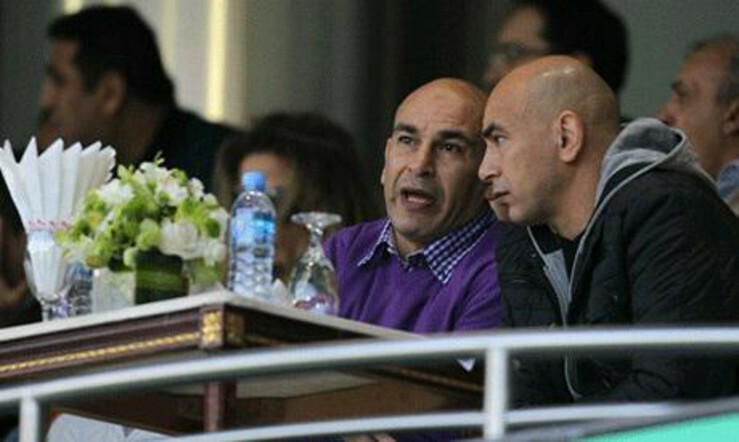 Hossam is currently managing Jordan National Football Team, while Ibrahim is assistant manager of the same.